Today is our chance to venture out to the surrounding valley. We had spent most of our time at the World Cycling Center. We would be taking the climb up Torgon, which a few of us had ventured up before the start of the camp. This time, as a team, more than a dozen will make the climb. 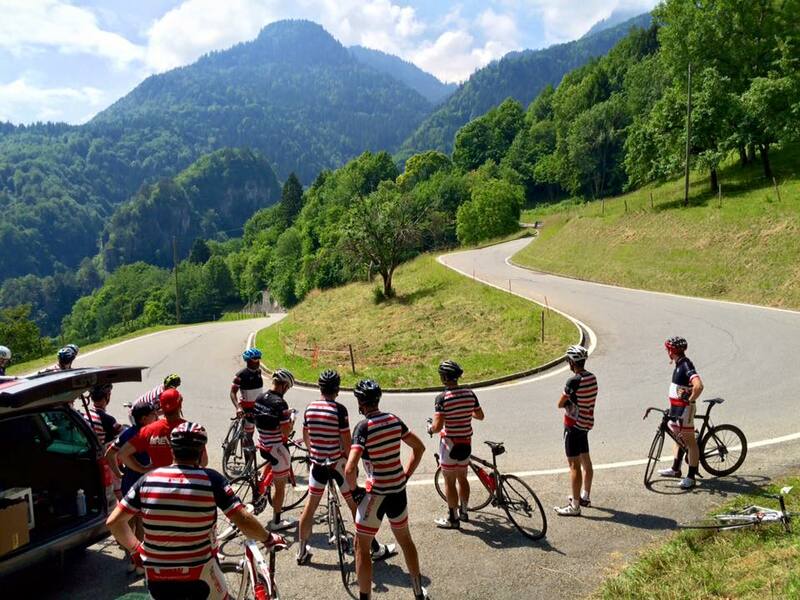 With a larger group, we’ll have more company up the long climb, more people to share the amazing views with, and more people to feel the suffering of the climb with. Differing from our previous effort, today we will aim to learn. On the list of things to learn are climbing, cornering, and descending. This would be fun, as I’m not the best descender. It’s a skill someone living in Singapore rarely gets to practice. For the 9km climb, I decided to focus on pacing myself. This meant patiently letting the strong guys race ahead, while I settle into a rhythm. I continuously replayed the Element of Style checklist, and took the time to enjoy the Swiss Alps around me. This approach paid off, as my constant speed started to claw back some of the guys. By the time I had reached the top, I’d managed to surpass four of them. It seems that my legs were getting stronger as the week continued, or maybe just recovering after the tough start to climbs before the camp. 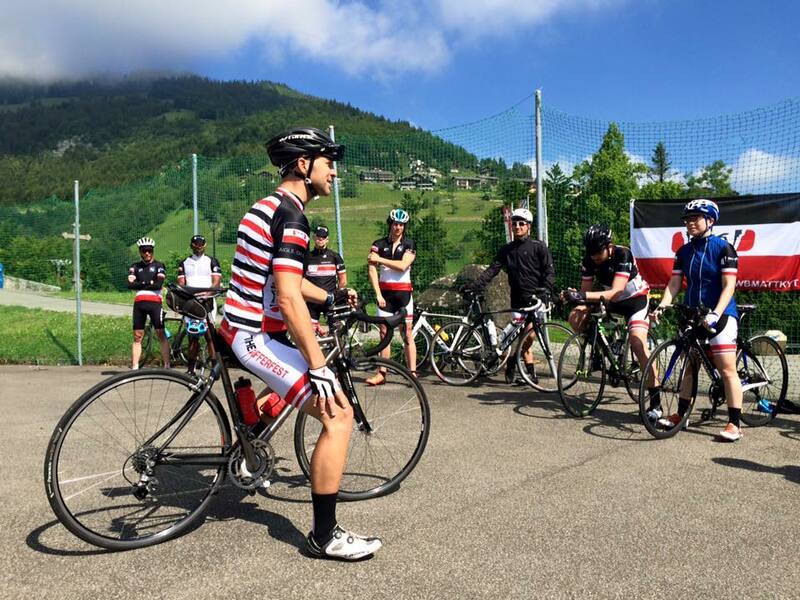 Once everyone arrived at the top, Sufferlandrian Super Coach, Neal Henderson took us through the theories of cornering. Counter steering, inside hands, and outside foot become the three focus points as we weaved our way through cones, left and right. Each time we went through, Neal made the turns a little harder. Soon, we were leaning deep into each corner while he gathered video evidence for analysis later. Armed with the new skills, the group begun the descent. Looking through the corner made the counter steering easier, as I pushed through my counter steer with my inside hand. Guess what, my corners were significantly faster than before. Despite some scary brake fade from my now dead tired pads, I was pushing deeper and harder into the corners, building momentum turn by turn. Half way down the hill, we regrouped at a small village called Le Chene. If you blink, you’ll miss it. The aim here was to attack two descent corners, where Neal had setup cameras, then climb back up and repeat. With each repeat, I felt the confidence grow under me, as I leaned more aggressively, carrying more and more speed. I was on a mission to perfect my corners, and finding myself weaving around the others in the group. 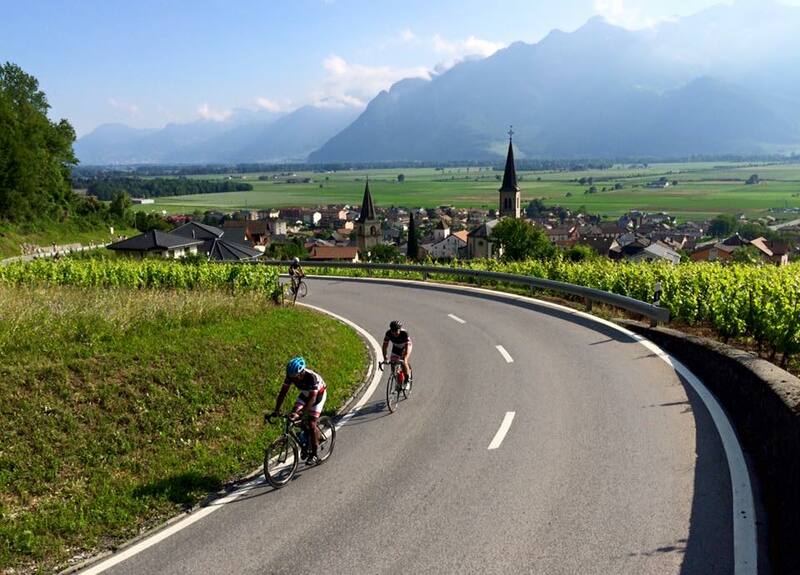 Descents and corners can be addictive, especially when your in the ‘zone’. I could have gone on those repeats for hours. While I still wasn’t keeping up with Braith’s super bike skills, I certainly was doing much better. Why don’t we have more twisty mountains in Singapore, this is fun. After doing the necessary filmed corners, the group descended to the World Cycling Center for lunch and review the videos. I was pleased to see that my placement, apex, and lean were looking much better than the start of the day. Thanks Coach Neal, awesome session!